We are one of the chief Manufacturers, Exporters, and Suppliers of a premium range of Copper Coils in India and abroad. 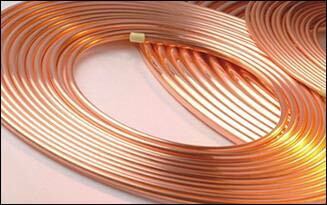 These Copper Coils are widely used for Split type air conditioning units. The raw material used in manufacturing our Copper Coils is procured from trusted vendors in the market. Our quality-tested assortment is available in various sizes and thickness as per the clients specifications.